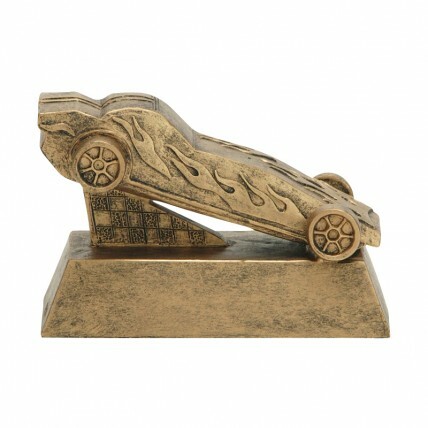 Get this handsome Pinewood Derby Car Award from the Signature Series Award Line. Made of resin, the gold-tone trophy resembles cast bronze and it is perfect for the winner or even the entire racing team. Measures 3 inches tall.